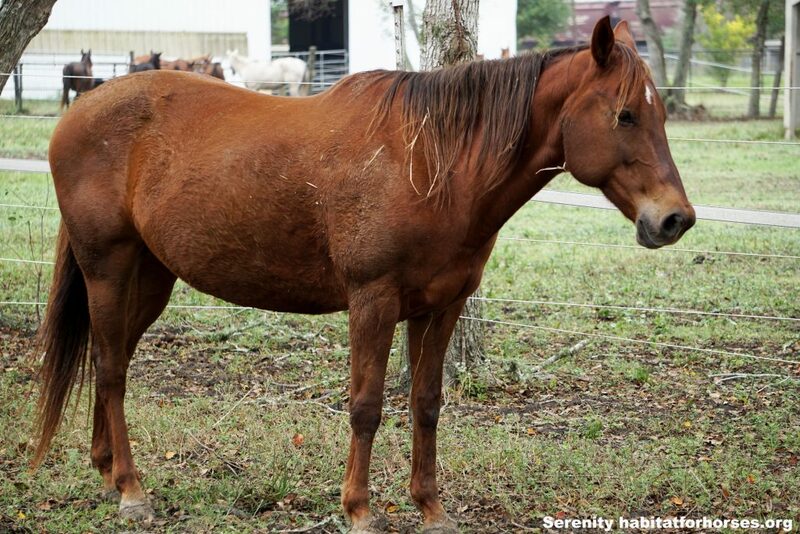 Serenity’s a beautiful quarter horse who enjoys being with the herd. Serenity wants to have a job and is forward moving, so she will need a more confident rider. 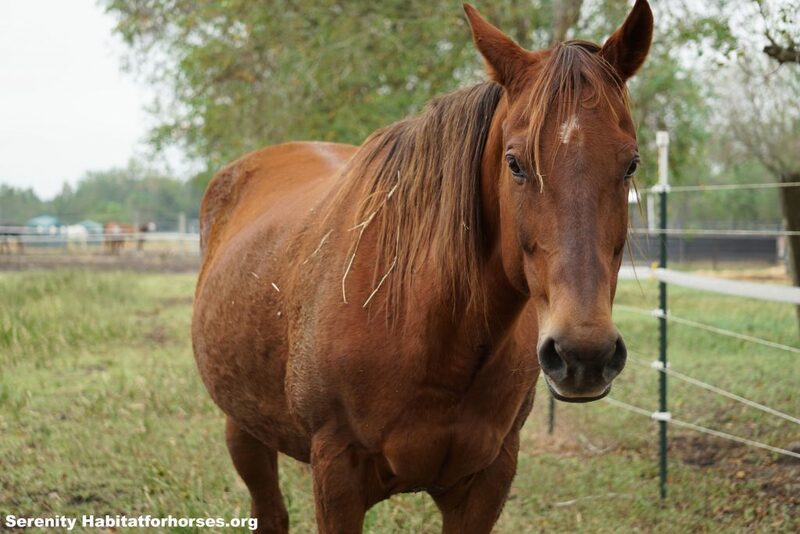 She has been ridden at a walk, trot, and canter in the pasture. She is still pushy on the ground and needs work with personal space but stands tied for grooming and tacking. She has been ridden in a western saddle with a hackamore. She was nervous at first, but settled in really well. She was previously evaluated for lameness issues but hasn’t showed any signs. She walks/trots in both directions. She is an excellent trail horse!